Hundreds of years ago seven elm trees were planted around a walnut tree for reasons which have been lost in time. The trees appear on the Dorset map of 1619 and some believe that the original seven trees were planted as long ago as 1350. The seven trees have been replanted a number of times, always by seven sisters but they are now in a slightly different location to the earliest plantings. 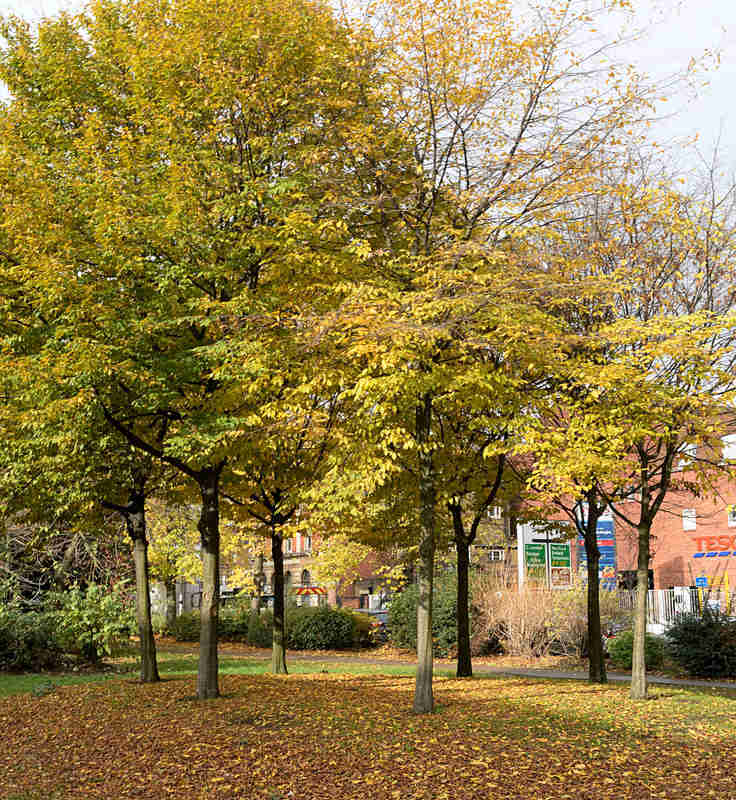 In 1886, a circle of elms was planted by the seven Hibbert sisters. ​In 1955 the Basten sisters planted seven Lombardy Poplars which unfortunately failed to thrive. 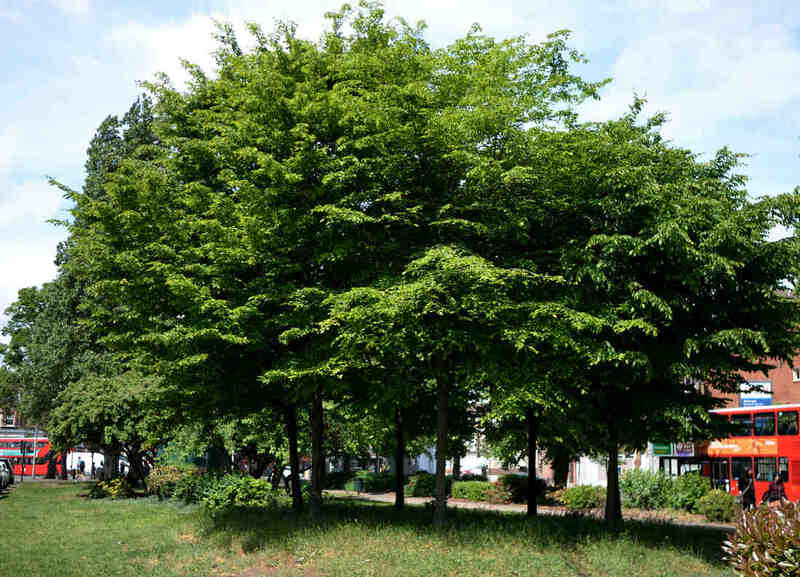 The current seven hornbeam trees, seen in the photograph below, were planted in 1996 by the newly formed Tree Trust for Haringey with five local families each of seven sisters . The Barkham sisters seen on the family memorial in ﻿All Hallows﻿ church have also been linked with the trees. 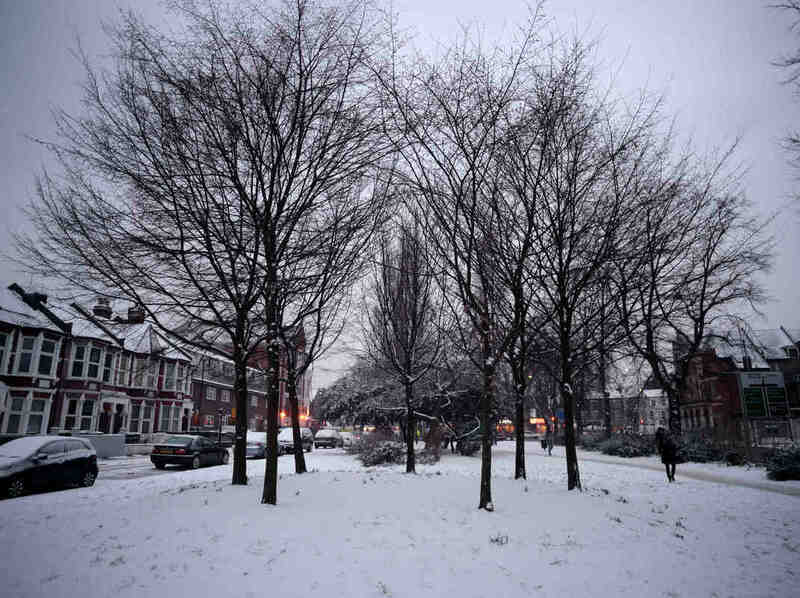 The Seven Sisters road which was completed in 1833 and provided a link across the countryside from Tottenham to Holloway was named after the trees; as was the underground station which was built in 1969. The image on the right, based on the mosaic by Hans Unger at Seven Sisters Underground Station, shows the 450 year old oak in Bruce Castle Park, the oldest tree in Tottenham.